I love crafting with my kids. I have been wanting to try out the BabbaBox service for over a year now. 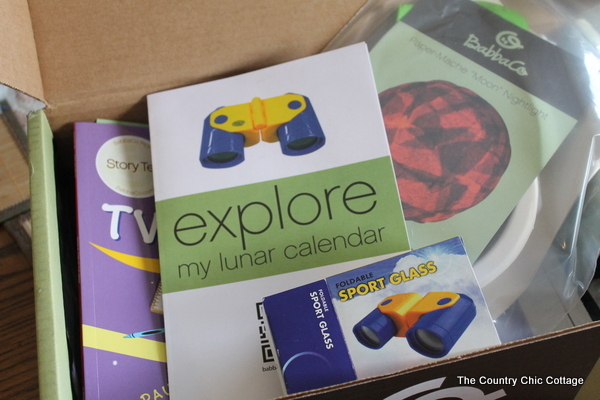 They sent me a box to test with the kiddos a few weeks back. We were greeted with tons of fun spilling out when we opened our box. TIP: There is a code for 50% off at the bottom of this post — don’t miss it! 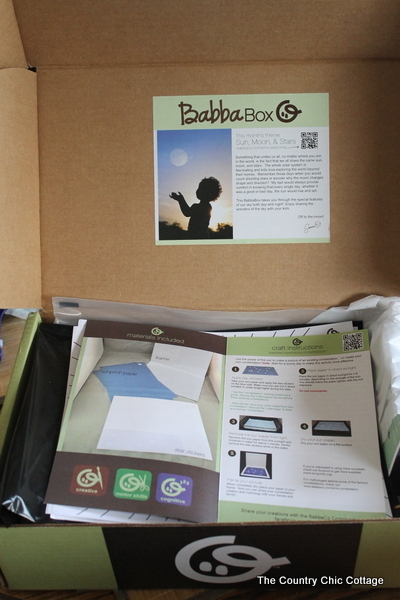 BabbaBox is a service that delivers a fun filled box to your door once a month. You can sign up for a one month membership or even longer. Imagine an excuse to take a break and explore with your kids once a month. I think we all sometimes need that excuse in our lives. The binoculars were an immediate hit with everyone in our house. There are also a couple of crafty projects and a book included. We broke out one of the simple projects. In this particular box, there was a really simple quick project and a more complicated project. 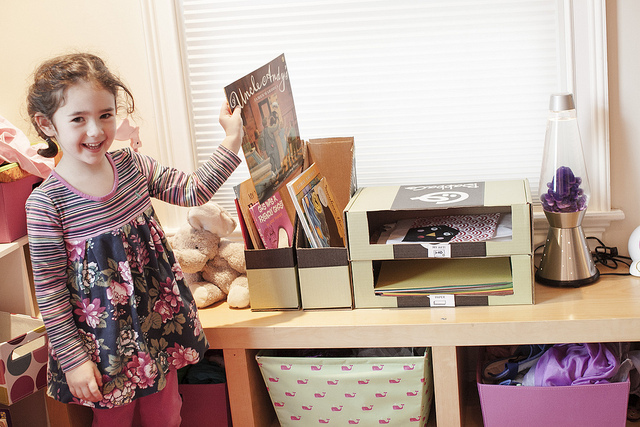 The best part — ALL of the materials required are included right in the box. No last minute trip to the store for that glue you can’t find. 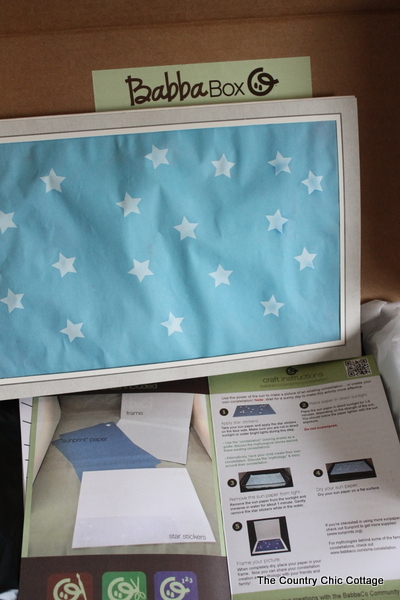 This is sun paper that when exposed to the sun (with the star stickers) makes a pattern on the paper. My son wanted a random pattern. If you can nail them down, this would be a great way to learn some constellations. I couldn’t convince my son to go that far. We will just call this constellation “fun” cause we had a blast watching the paper change before our eyes. What a great way to introduce science concepts as well! So make a resolution to spend more quality time with your family in the new year. Then get a subscription to BabbaBox to keep yourself accountable and the resolution fresh in your mind. So get the box for your 3-6 year old AND for yourself! next post: Button Ornaments with Kids plus a GIVEAWAY to stuff your stocking! I’ve never heard of Babbabox ~ It looks and sounds wonderful!